Pupils from Barnsley Academy were recently given the opportunity to experience contemporary hair and beauty techniques at Barnsley College. 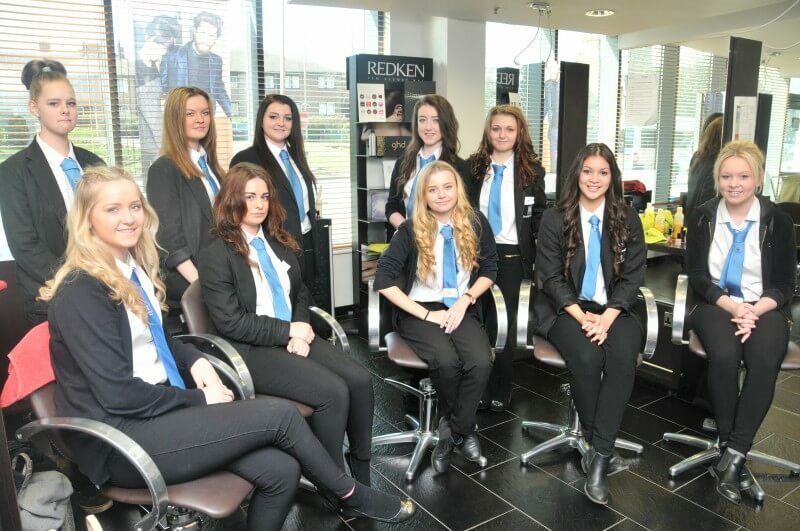 Ten Year 11 pupils visited Images commercial salon within the college for hands-on taster sessions in current hair and beauty techniques. The pupils watched a short film of the college’s Alternative Hair show from 2014 which showcased the work of students studying hairdressing, beauty, make-up and barbering and featured unusual hair and make-up techniques, before having a go at curling and styling each other’s hair. The group were shown traditional hair curling methods as well as trying out brand new curling equipment and appliances. The pupils also had a chance to practice basic manicure techniques incorporating a hand and arm massage before finishing with their choice of nail polish. To find out more about studying Hair and Beauty at Barnsley College, call the Information Team on 01226 216 123 or email info@barnsley.ac.uk.